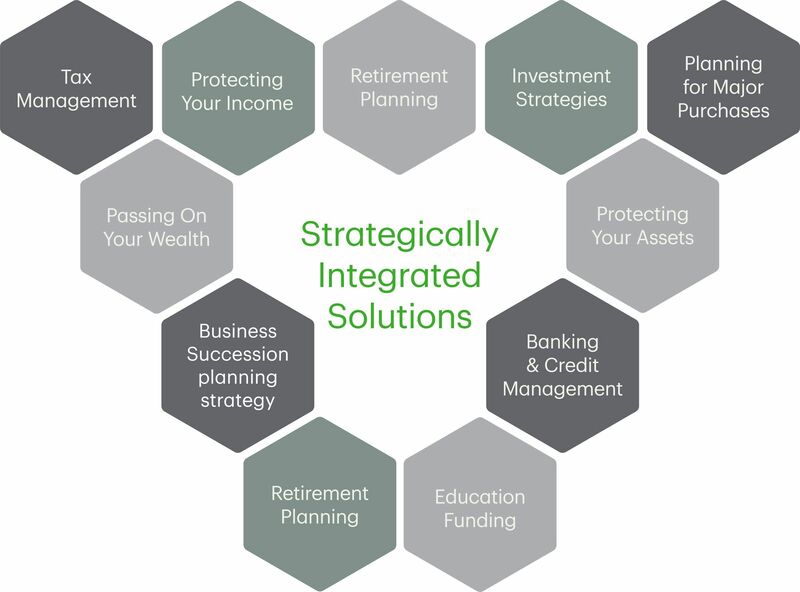 Our strategic approach to wealth management is designed to ensure that the entirety of your financial life is working together intelligently to help meet your immediate needs and your evolving goals. Taking aspects of your financial landscape into consideration, we will determine your optimal asset allocation and help develop a comprehensive wealth planning anchored by institutional-quality discretionary portfolio management. 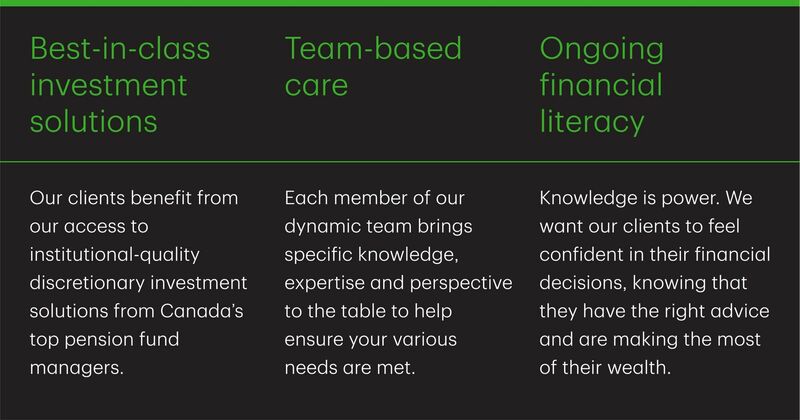 Together with our industry-leading team of TD wealth specialists, we will work to ensure your complete wealth needs are taken care of, from Estate Planning to Philanthropic Giving to Private Banking, and beyond. And as our relationship deepens, we will continue to work hand in hand with you and your family to deliver the actionable insights that will differentiate your future — and create a legacy for generations to come. *As of February 8th, 2019. Unique experiences and past performances do not guarantee future results. Testimonials contained herein are unsolicited and may not be representative of the views of others. They have been reviewed and approved in writing for public use. Experience has shown us that there is no substitute for time spent with clients. 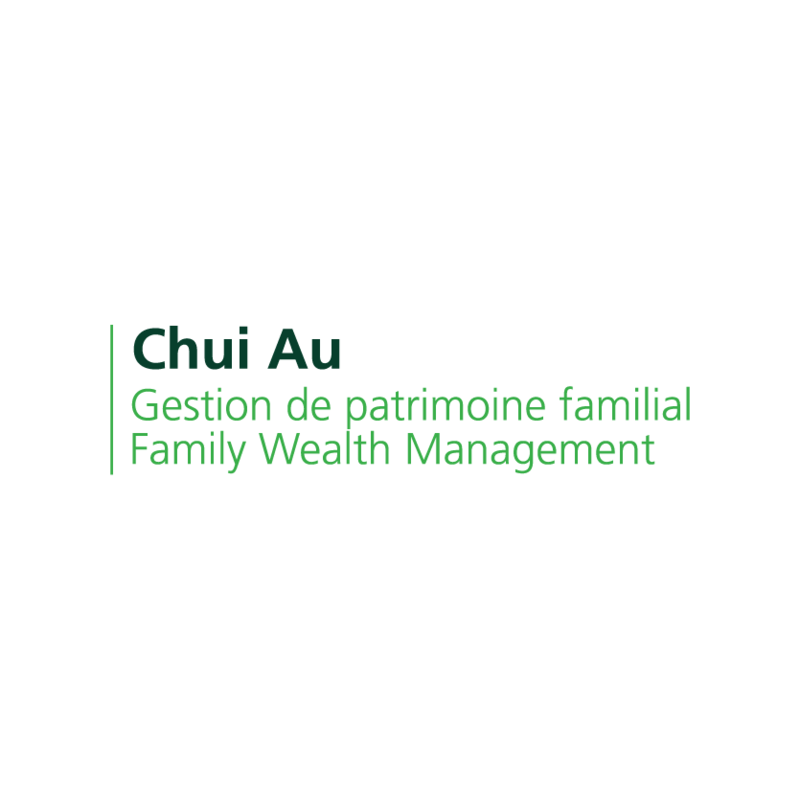 The signiﬁcant time we invest in you helps to ensure that your wealth is working for you from all angles as you build and strengthen your family legacy, one strategic move at a time. My team is a group of conservative, disciplined wealth management professionals acting for high-net-worth individuals and their families, holding companies, small business owners, trusts and charitable foundations. legacy creation and more. 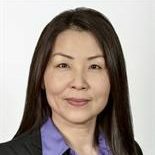 Ultimately, all are inter-connected and a comprehensive approach to wealth management cannot afford to ignore them. Standing at the heart of our practice is the one-on-one relationship we build with each client. That relationship is based on, and driven by, a strong level of personal trust, communication and understanding. Our clients expect and receive exceptionally personalized investment advisory services. 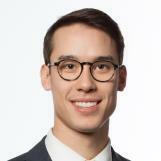 Like you, they expect competitive investment returns where capital preservation, security, and the prudent management of risk, is fundamental. 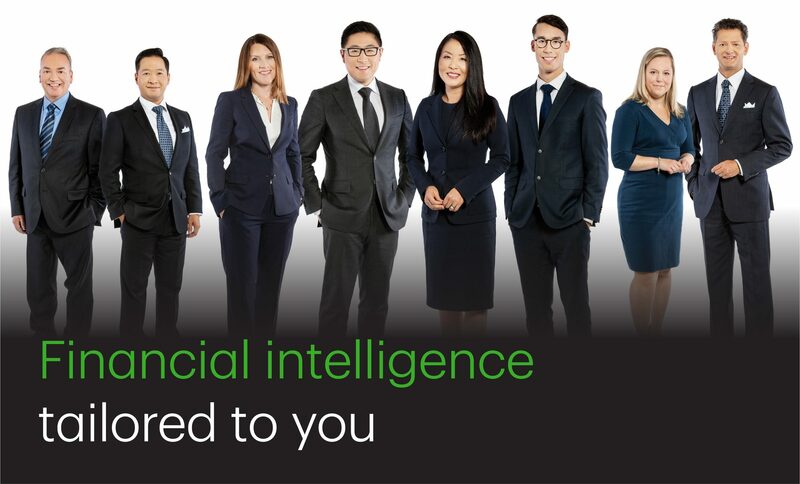 We will be your single point of contact supported by the vast resources of other TD specialists, bringing you the expertise, experience and answers you need. We can link you to various specialists in Private Banking, Estate Planning, and Philanthropic Giving, to name a few. We will collaborate with you and these trusted professionals to create your unique investment and wealth plan. Our team recognizes that every investor has unique objectives. We build client portfolios in a way that reflects a painstaking grasp of the precise personal and professional situation - and long term financial and wealth accumulation goals - of every individual and organization we advise. 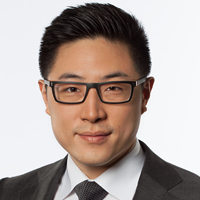 We believe in detailed portfolio performance reporting, including month-end statements and interim reports. Our objective is to construct a finely tuned, growth-oriented portfolio. Always very accessible to our clients, we expect to participate in timely personal client meetings to track portfolio performance and orchestrate necessary portfolio adjustments and re-balancing. The principle of informed client decision-making is fundamental to the way we do business. That is why all our clients receive regular newsletters and invitations to attend special seminars on a wide range of investment subjects presented by knowledgeable guest speakers. We are committed to the delivery of strong long-term investment performance. Our goal is to preserve capital, protect assets and build wealth. We know how important it is to build your wealth so you can enjoy life's priorities and achieve your vision for the future. Working together we can develop innovative strategies to help grow your net worth by identifying which credit strategies and investment solutions match your current lifestyle and needs. Our team of professionals can work with you to develop an effective plan to help you make your vision a reality. Life is filled with uncertainty and that's why we're committed to delivering advice and solutions to help protect the things you value at every life stage. Whether through comprehensive risk strategies or connecting you with a specialist in trusts, estates, and other risk mitigation products, we've got the expertise to create a comprehensive plan that's right for you.